We are having our kitchen remodeled and so are staying with friends and last week we stayed with our friend and colleague Samuel and his partner Alex in Capitol Hill. 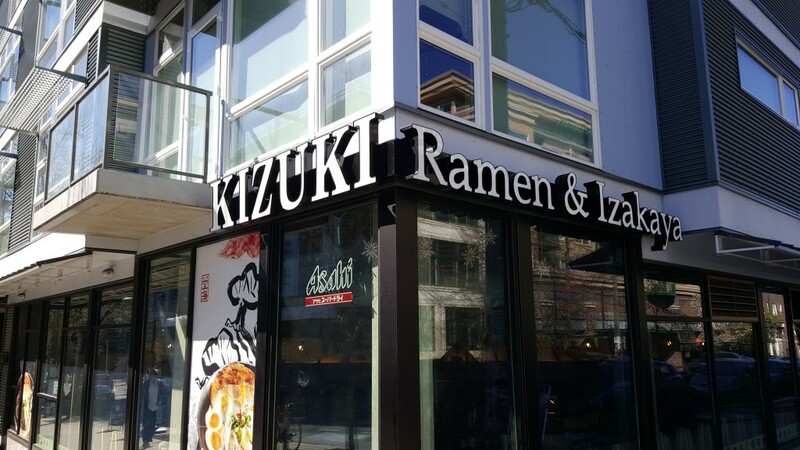 As a thank you for letting us stay, we wanted to take them out to dinner in the neighborhood and we were all craving ramen so we ended up at Kizuki. We were not disappointed. The food was delicious. We each tried a different ramen including the Chicken Rich Ramen, the Spicy Ramen, the Yuzu Shio Ramen and the Shoyu Ranen. Some were bright, some spicy, some rich but all were great! We also loved the appetizers of Chicken Karaage and Takoyaki Octopus Dumplings. We would definitely go back and highly recommend it for anyone who loves ramen! What to Know About Appraisals – Before Your Appraiser Comes Out, Read This!